Working for a charity group in the Atlanta area is a wonderful way to earn income while helping those in need. American Kidney Services (AKS) currently has positions available for individuals to work from home by calling our donors and scheduling donation pickups over the phone. Work the days and hours that best fit your schedule. This position is an excellent opportunity for disabled individuals or home-bound elderly people who are not mobile, but still want to work and contribute to the community. The AKS charity group is also in need of individuals to attend to donors as they drop off their donations at our storefront donation centers. These individuals must be able to stand or sit for an 8-hour period and be able to lift or slide a 50-pound load. For more information about the employment opportunities at AKS, please fill out our online contact form. 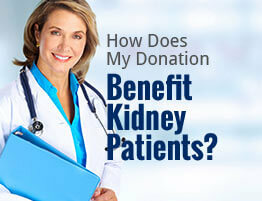 In 1981, we began with the aim of lightening the financial burden of patients suffering from kidney disease. We began collecting used clothing and household goods to generate proceeds for charitable purposes. In 2004, we concentrated our efforts on the American Kidney Fund (AKF) as the sole recipient of proceeds generated by AKS. AKS is extremely proud to support a charity group like AKF, which has garnered honors like a 4-star rating from Charity Navigator and a spot on the prestigious Forbes Magazine Gold Star Charity list. If you or someone you know would be interested in working for the AKS charity group or donating to our worthy efforts in the battle against kidney disease, please don’t hesitate to contact us today.